Written by Dezza, 28 January 2019. With Valentines Day coming up in just over two weeks, I thought I would do a special blog about some options that you might like to choose to spend your “day of love”. Of course, we all know that Valentines Day is a special day. This day is enjoyed by couples who have been together for a long time and by couples who have just started dating. The day represents love and romance, which is why you and your significant other should do some amazing for Valentines Day in 2019. Therefore, I have come up with the top 10 romantic places to spend Valentines Day in the Philippines. I thought long and hard about the places to include on my list and have decided to choose places that are very chilled out, as opposed to places for adventure. After all, in my opinion anyway, relaxing together by the pool or on the sand at the beach has a more romantic feel to it that canyoning or white water rafting. Then, of course, I have included places you can drive to if you’re pressed for time and places a bit further away for those that have a couple of nights up their sleeve. 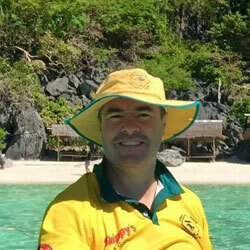 My final list undoubtedly includes some of the best places in the Philippines. Anyway, so here are my top 10 romantic places to spend Valentines in 2019. One of the most popular places to visit in the Philippines is the city of Tagaytay. You and your partner will love the choices of resorts you can stay at. There are a number of health retreats that feature luxury suites, spas, hot tubs and much more. 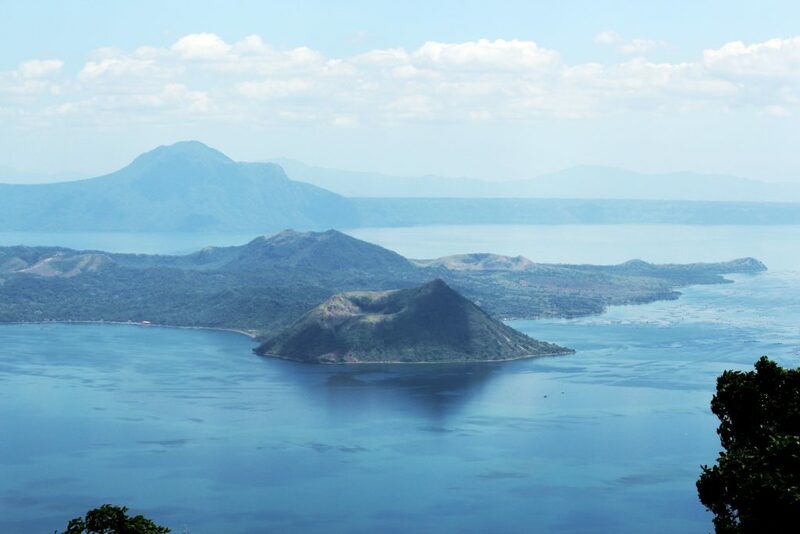 Not only that, but a lot of the resorts in Tagaytay offer breathtaking views of Taal Volcano. To make Valentines Day extra special, you can go to Picnic Grove and roll out the ole picnic blanket and enjoy a nice picnic and some wine. Be warned though, this a popular local attraction with many people flocking there to enjoy hilltop picnics. So there is likely to be a number of sweethearts there over the Valentines Day period. 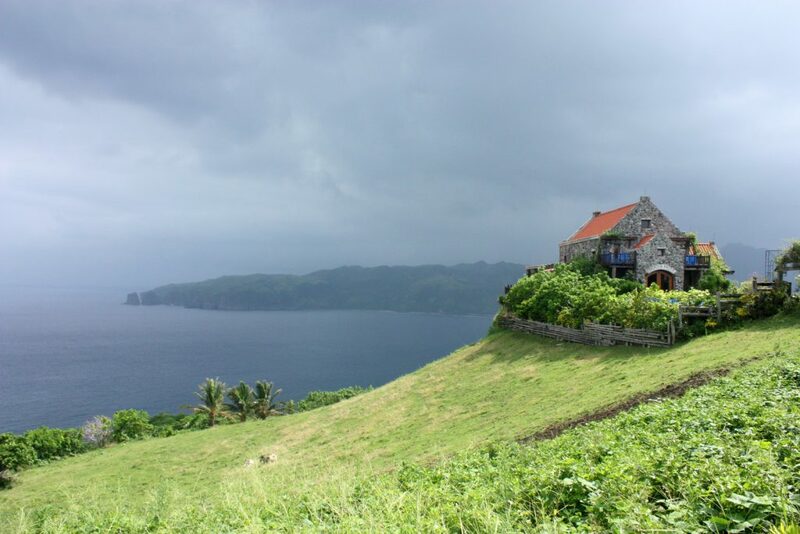 For a truly memorable Valentines Day, head up to Batanes Islands. Batanes is unlike anything else in the Philippines. For starters, it is an archipelago province and it is the least populated province in the Philippines. Nonetheless, and maybe, for this reason, it’s rapidly becoming one of the top Philippines destinations. You can start the day by visiting some of the most impressive lighthouses you have ever seen. These include Batan Island, Basco and Sabtang. Out of those three, the Basco lighthouse is the most impressive and it also doubles as a church. Also, you can spend a day on Sabtang Island. Besides the lighthouse, you can relax on the gorgeous beaches and then check out one of the traditional villages on the island. 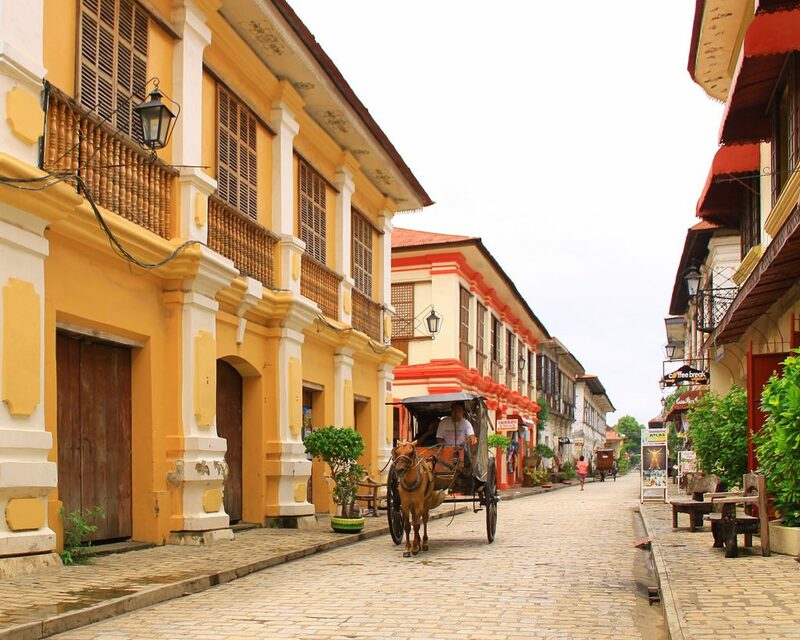 Vigan might be a city in the Philippines, but you would think you were in Spain in some parts. Through the city, you’ll see Spanish architecture everywhere. When you and your partner are in Vigan, you can enjoy activities such as shopping in Crisologo, visit the Syquia Mansion Museum or do a bit of pottery at the RG Jaw Factory. To add to the romantic feel, even more, you can take a horse-drawn carriage around town and take in all the Spanish architecture. Because of the whole Spanish/European feel of the place, this will enhance the romantic vibe even further. Boracay Island has been in the headlines a lot lately. This island was reopened to the public last October after being closed for 6 months, and the island has recuperated magnificently! There has been a limit imposed on visitor numbers as part of the new rules, but if you are lucky enough to find flights and accommodation, you and your loved one will have the most romantic Valentines Days ever. 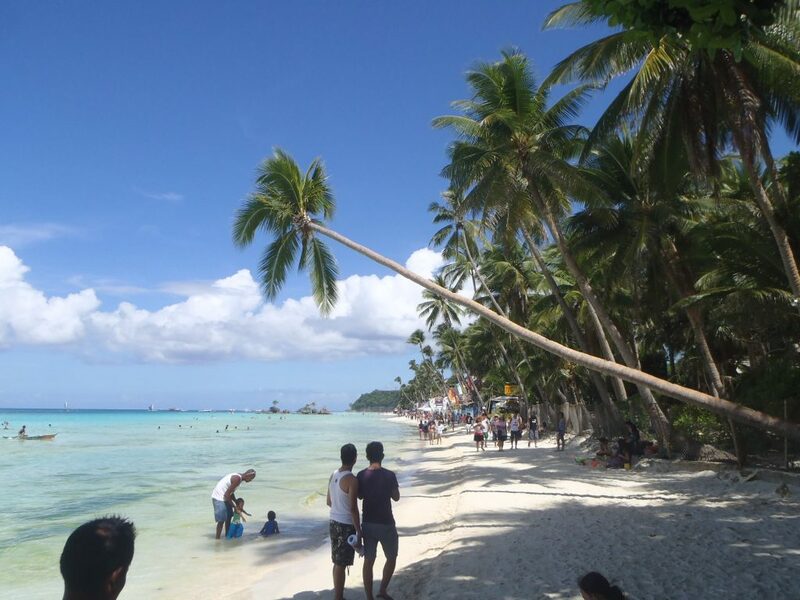 There is no doubt white beach on Boracay is one of the best beaches in the world and after the 6-month closure, it is in tip-top condition! 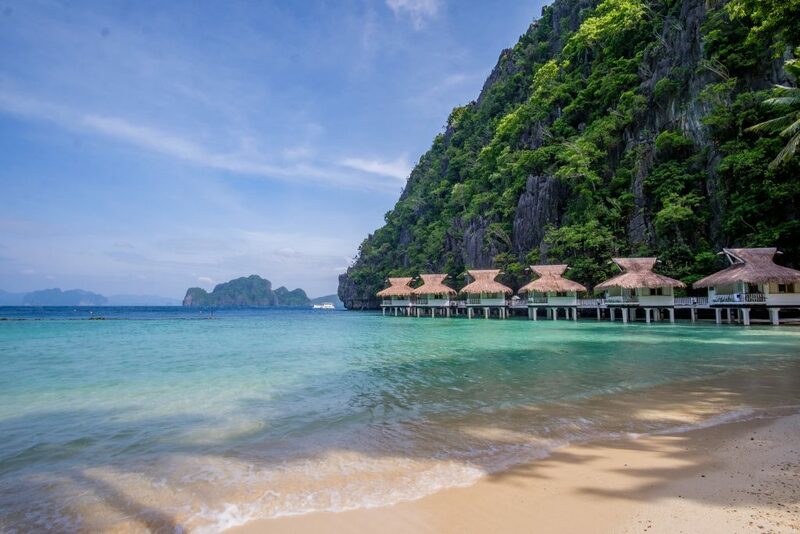 El Nido is the place to go for the most romantic resorts that the Philippines has to offer. For example, Miniloc is a resort where the rooms are small cottages set on stilts in the water. The Tapik beach park guest house is another unique and romantic place to stay at, and you’ll love listening to waves as you sleep. Another resort is the El Nido Mahogany Beach Resort, located in Corong-Corong. You can’t go wrong by staying at any of those three romantic resorts. Whether you just want to chill at the resort or do some island hopping to some glorious beaches and lagoons, you will not be disappointed. 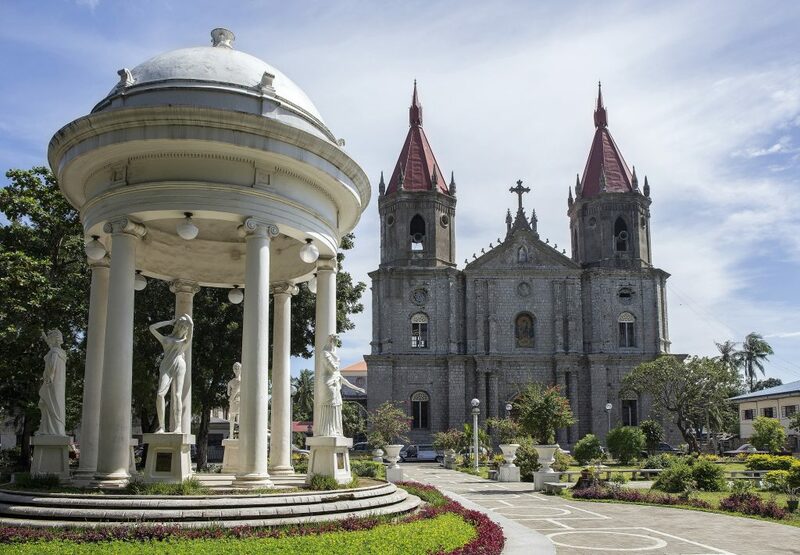 If you fancy something a bit different, you may want to consider Iloilo City. Iloilo is best known as the “city of love”, which is why you may want to consider staying there this Valentines Day. Head down to the Iloilo River Esplanade for some riverfront dining. Make sure you set a day aside to walk around the city to take in the unique architecture. You can also pop into the Camina Balay Nga Bato, which is a house museum that features some amazing antiques and food. If you did want to go to some nice restaurants and shake your tail feather, then head over to Smallville, the entertainment centre of Iloilo. Here you will find some great restaurants, live music, bars, and hotels. Situated right next to the sea, its a great place to chill out at night with a few cocktails watching a live band. Bohol has made it onto our list of the top romantic places to visit in the Philippines. Bohol has a lot of things to see and do, however, the first place you should visit there is Alona Beach on Panglao Island. As a matter of fact, if you wanted a totally chilled out few days, you don’t really need to leave Alona Beach at all. The beach is known for its white sand, rocky cliffs, swaying palm trees and warm water. You and your partner will enjoy romance like never before as you sit poolside sipping on a cocktail while watching the epic sunsets offered on Panglao Island. You’ll find Hidden Valley Springs Resort in Calauan, Laguna, about 2.5 hours drive from Manila. If you want to spend time with your partner in a truly special setting, then look no further than Hidden Valley Springs. You’ll love walking through the landscaped jungle along scenic hiking trails that lead to the waterfalls and natural rock pools. You’ll absolutely love the beautiful landscaping and cottages on-site, as well as the food that is served at the resort. This is perfect for a relaxing one-night getaway if you’re pressed for time. 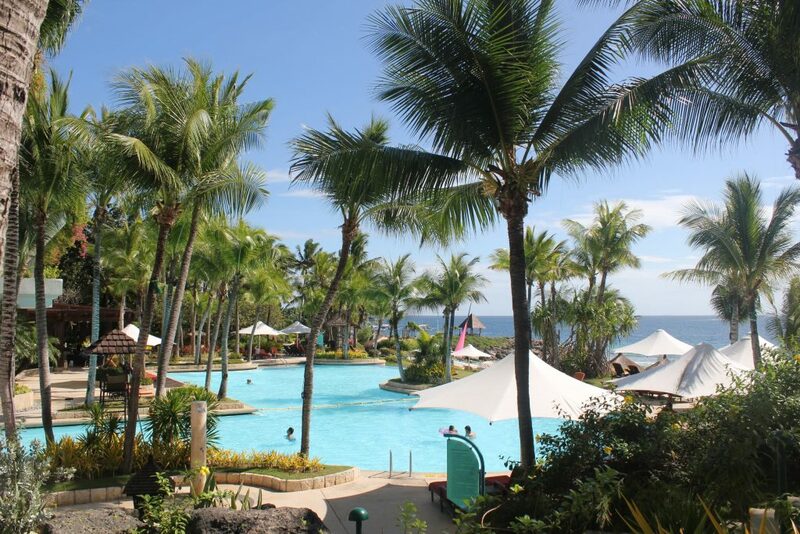 Mactan Island is located just off Cebu Island and has some of the most romantic resorts in the country. These include Movenpick, Mactan Shangrila and Plantation Bay to name but a few. Each has its own unique set of features including private white sand beaches, massive swimming pools and great bars and restaurants. I think you can’t really go wrong staying at any one of them, but do a bit of research on each before choosing one to suit what you want. You can also head to the Lapu-Lapu Shrine and take photos of the monument there, as well as do a bit of shopping. Visit the Carbon Market while you’re at it and you can even squeeze in a visit to Nalusuan for some snorkelling and whale watching. It’s a good idea to spend at least a few days on the island, that way you have time to explore as much of it as you can. I have left the best to last. Perhaps the most unique hotel in the country is the Hotel H20. 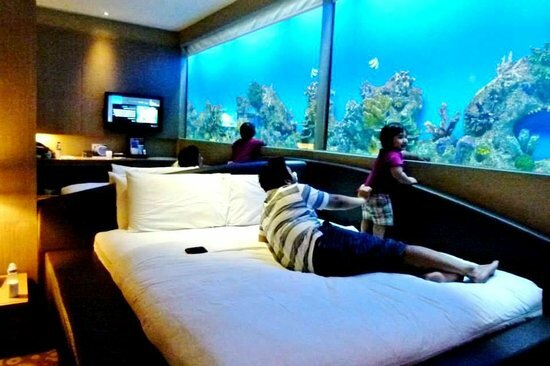 Can you imagine relaxing in your room and enjoying views of the fish actually swimming around you? Well, this Valentines Day you can. The hotel itself offers plenty of amenities and things to do, you won’t even have to leave. You can dine at one of the restaurants or grab a quick bite to eat at the cafe, or just chill out. Or of course, you also have Manila Ocean Park right next door. Visiting the spa to relax and receive a couple’s massage is worth doing, or you can explore the nearby area. One of my favourite restaurants in Manila is Harbor View Seafood Restaurant which is right to Manila Ocean Park. Here you can dine on fresh seafood while sitting at tables on a jetty with views of the Manila skyline. In my opinion, Hotel H20 is probably the best option for those that are on a tight schedule and can only spare one night away to stay somewhere. Being in Manila, you can simply drive there or take Grab which makes it even more attractive. However, you had better get in quick as I’m sure it will get booked out fast! Those are the top 10 places to spend Valentines Day in the Philippines. Each of the above places is unique in their own way so take your pick and enjoy!